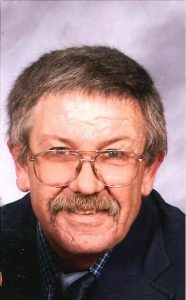 Thomas "Tom" Beck Sr., 61, of David City, died Saturday, January 20, 2018 at Immanual Medical Center in Omaha. Visitation Friday, January 26, 2018 5:00 p.m. to 7:00 p.m.
Thomas Allen Beck Sr. was born September 25, 1956 in Westfield, New York to George and Opal (Tonniges) Beck, Sr. Tom served in the National guard and also enlisted in the United States Navy, receiving an honorable discharge. On September 24, 1982 Tom was united in marriage to Donna Sue Naber in Thayer, Nebraska. Tom worked as a truck driver for many companies including Sunflower, pick pack, Selden and M&S transfer of David City. Tom and Donna have lived In David City since 2010. Tom enjoyed fishing, hunting, going for drives, and spending time with his family, including the family dog “Bear”. He also enjoyed collecting toy cars, tractors, antiques and old furniture. Tom is survived by his wife of 35 years Donna of David City, Sons & daughters-in-law Tom “T.J” Beck, Jr., of David City, Fred (Ashley Greenwood) Beck of North Bend, Phil (Mariah) Beck of Friend, Ted Beck of David City. Brother and sister-in-law George (Lee) Beck, Jr. of Sacramento, CA, 5 grandchildren Fred “Shorty” Beck, jr. , Haley and Tim Beck all of Henderson, NE, Natalie Beck of North Bend, Nash Beck of Friend. Niece Jessica Beck of Sacramento, CA, nephew Adam Beck of McCool Junction. He was preceded in death by his parents, brother Mike Beck and an infant son.